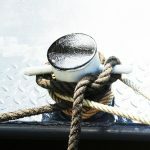 The Rothor has a long history. 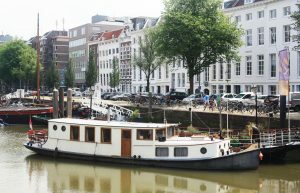 Built in Amsterdam in 1939. 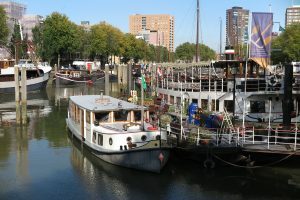 In Rotterdam the, then called, Croosboot, made trips over the Rotte river for small groups. 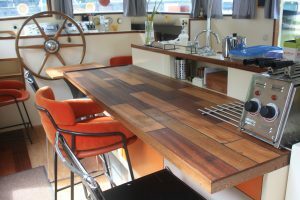 When this project ended Eric van Emden bought the boat. 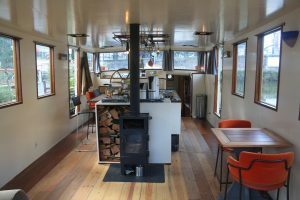 Rothor was completely renovated into a cozy boating living room with kitchen, bathroom and bedroom. 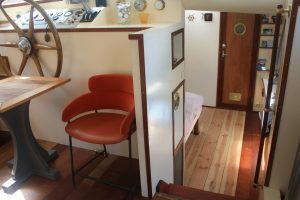 Rothor has a private landing next to a pontoon. The entrance can be locked with a gate. 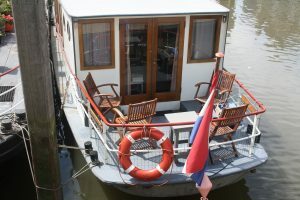 At the other side of the pontoon the Animathor is located. 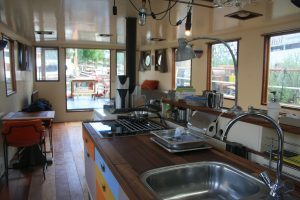 The boat has been renovated completely. 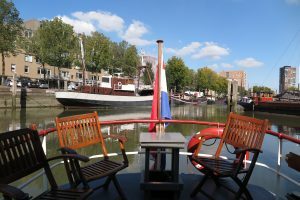 The salon is new and offers a panoramic view of the old harbour, the White Houw end the Red Apple. After enjoying the beautiful sunset you can close the curtains and, if chilly, turn the woodstove on.There is also electric heating. The salon is well isolated and very comfortable. There are windows and doors that can be opened. In the back of the boat you can sit outside and enjoy the lovely view. Everything you need is there. tv, dvd player, the kitchen is complete with pans, plates, cutlery etc. Through the large doors in the back you get to deck terrace. Enjoy warm evenings with a view on the old Harbor, the White House, the modern tall buildings (Red Apple) and the people passing by.